Editor's note: This story was updated July 12 after organizers announced a program price reduction. A senior official on the FAA team handling drone regulation and authorizations has lined up veteran flight instructors from a Connecticut flight school to help create the agency’s first Aviation Career Education Academy that’s all about drones. Aviation Safety Inspector Marilyn Pearson hopes the weeklong program will become a model for similar programs across the country. Marilyn Pearson is an FAA aviation safety inspector who has become a specialist and one of the key members of the agency's unmanned aircraft team at headquarters, and now seeks to use them to inspire youth interest in aviation careers, including unmanned aviation. Courtesy photo. It all began with what was a terrifying moment for a teenager: Ryan Felner of Westport, Connecticut, caught Pearson’s attention through media coverage of his entrepreneurial efforts starting a drone business—at age 15. Pearson recalled in a telephone interview that she tracked Felner down and called him to give a gentle reminder that the minimum age for Part 107 pilots is 16. Felner, who at first seemed to Pearson to be terrified to be in the crosshairs of the FAA, readily agreed, and over the course of the ensuing year the two communicated, Pearson offering advice and expertise to help the young man understand airspace and some of the fine points of aeronautics that were not familiar to a teen lacking manned aviation experience. Felner took the Part 107 written exam when he turned 16, and was invited, along with Pearson, to speak about their experience at a Maker Faire in town. That led to the local superintendent of schools approaching Pearson to inquire about creating an opportunity to harness youth interest in drones more broadly. The upshot of that is a weeklong summer program that the FAA hopes will be a model for the country, a clinic designed for young adults (ages 16 to 20) that prepares them to pass the Part 107 knowledge test, as well as providing a basic introduction to photography and videography technique. The Aviation Career Education UAS Academy begins July 24 at Staples High School in Westport, and Felner will be among the instructors, volunteering his time (along with the other instructors, including Pearson) to introduce fellow teens to unmanned aviation. Pearson also has lined up a pair of experienced flight instructors, Terry Keller Jr. and John Lampson of Premier Flight Center at Hartford-Brainard Airport, to help teach airspace, weather, charts, aeronautical decision making, and other elements of a basic ground school. The instructional staff also includes representatives of the Academy of Model Aeronautics (a co-sponsor of the program) and other local remote pilots. The program fee was originally set at $200 for the week; Pearson wrote in an email July 11 that the fee had been reduced to $100. Pearson said the FAA has for years conducted Aviation Career Education academies around manned aviation, but this is the first for unmanned aviators, and therefore a bit of a test flight. If all goes well, the FAA would like to replicate it across the country. She said the instructors plan to give the students some hands-on flight experience. Pearson joined the FAA in 1997 with a diverse background in aviation and a long list of pilot certificates and ratings. She has flown commuter airlines, night cargo, and charter, and given flight instruction; Pearson is rated in many types of aircraft including gyrocopters and gliders, has experience flying competition aerobatics, and joined the headquarters staff not long after Congress directed the agency to create rules for drone operations. “It was kind of at the beginning … before they exploded to where they are now,” Pearson said of her own introduction to drones. She was sent to Hood River, Oregon, for a training program that included time spent operating the Boeing Insitu ScanEagle, and returned to help draft the rule now known as Part 107. Pearson also has had a hand in evaluating applications for exemptions under Section 333, prior to Part 107 implementation in August 2016, and remains deeply involved in ongoing work to evaluate and approve waivers and authorizations. 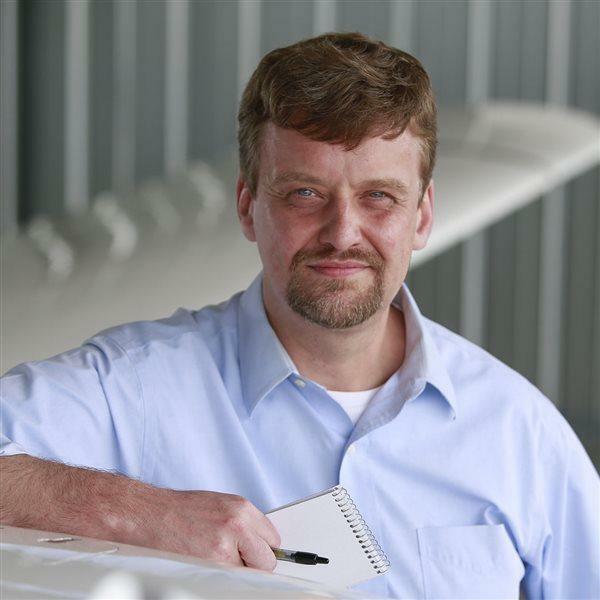 Pearson also is among the authors of the FAA Safety Team unmanned aircraft course.